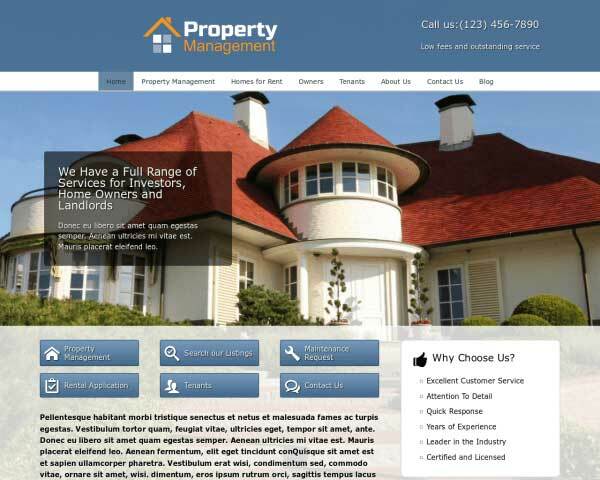 Everything you need to create a solid, professional website for your real estate firm is built into the Loan Company WordPress Theme. Take a look at our demo site and try a 3-day risk-free trial. 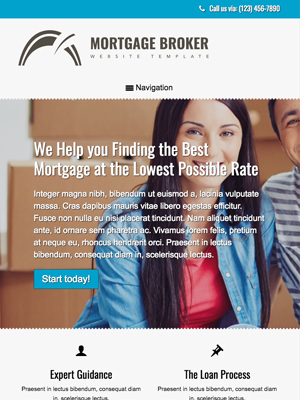 When you build your website with the Loan Company WordPress Theme, we've set up everything you need to get your site online fast. Our unique front-end editing tool and drag and drop widgets make it a breeze to build and customize your website without any coding at all. 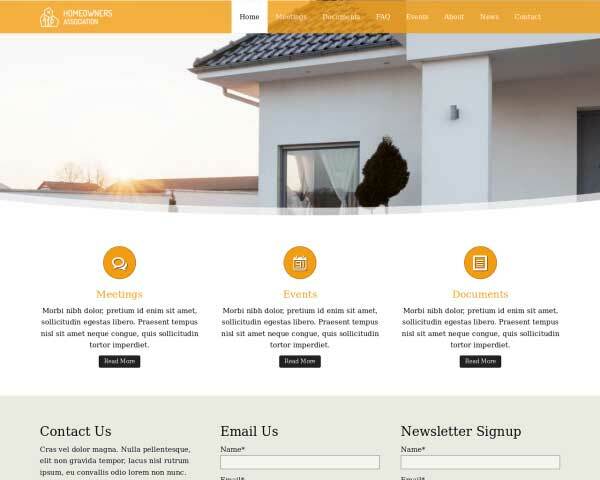 With your own text and photos in place, you can quickly and easily create a professional online presence for your studio with the Loan Company WordPress Theme. Inspire trust in your mortgage company when you display logos from your professional associations, service awards and support of fair housing. Just replace the icons on the sidebar. 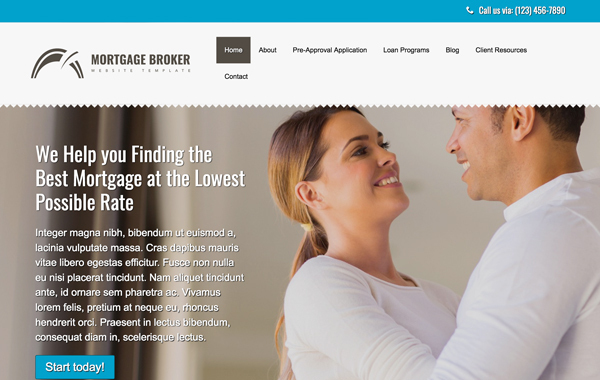 Introduce your team of loan officers with a photo and bio and share your mortgage firm's approach on the About pages of the Mortgage Broker WordPress theme. 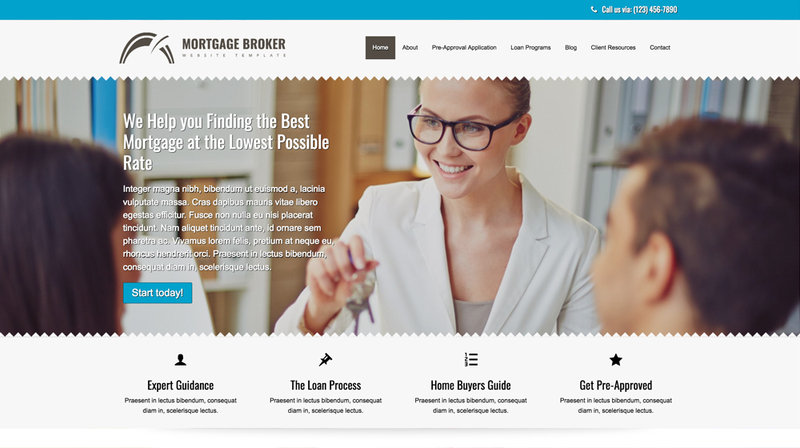 The Mortgage Broker WordPress theme comes packaged with icons for popular social media platforms, allowing visitors to click to follow you online or share your content on their pages. 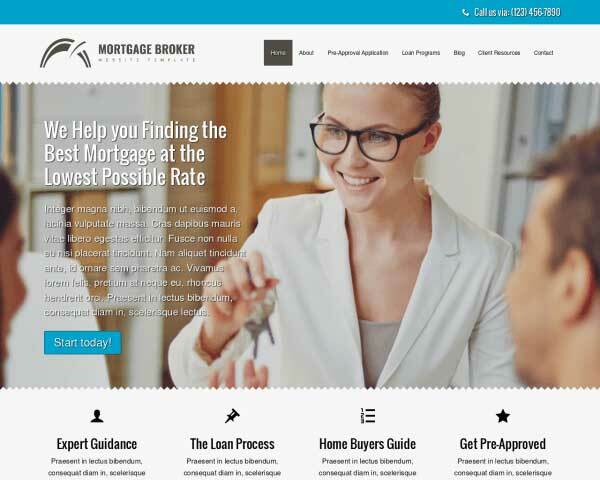 List links to all available loan programs on the sidebar of the Mortgage Broker WordPress theme to offer visitors quick navigation to detailed pages for each type of mortgage product. Allow borrowers to submit a pre-approval application online any time with the Loan Company WordPress Theme's built-in form. An initial form setup is in place. You can add or substracts new fields as you see fit. A complete glossary is included with the Loan Company WordPress Theme, saving you valuable time in setting it up from scratch. Add or remove terms to suit your needs. An important tool on any mortgage website is an online mortgage calculator. We've included a third-party plugin that can be easily swapped out if you have another calculator that you'd prefer to use. 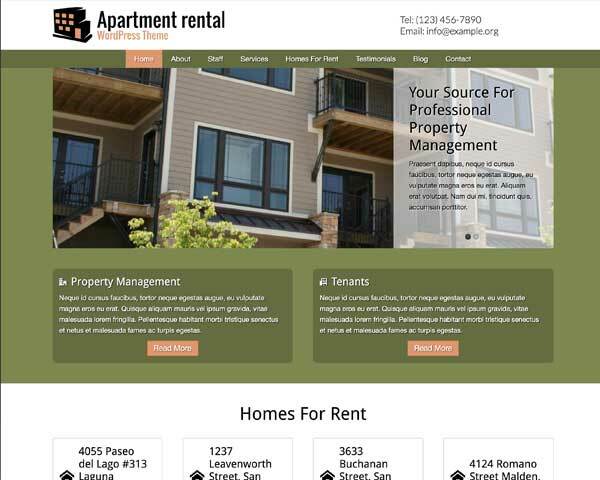 We've set up a dedicated page for your home buyers guide on the Loan Company WordPress Theme. 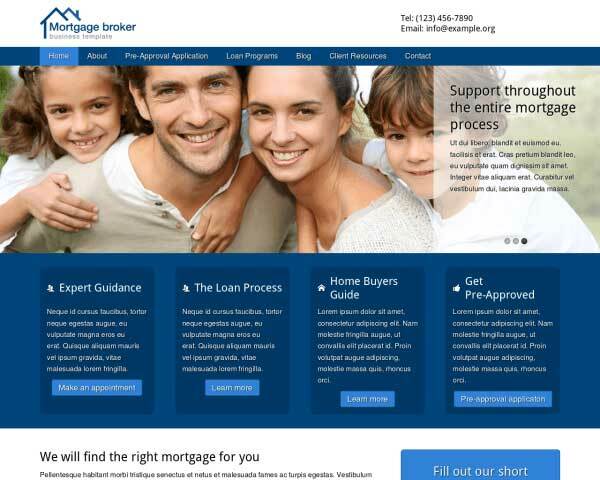 In combination with the blog section it provides an excellent tool to display your expertise in the mortgage business. 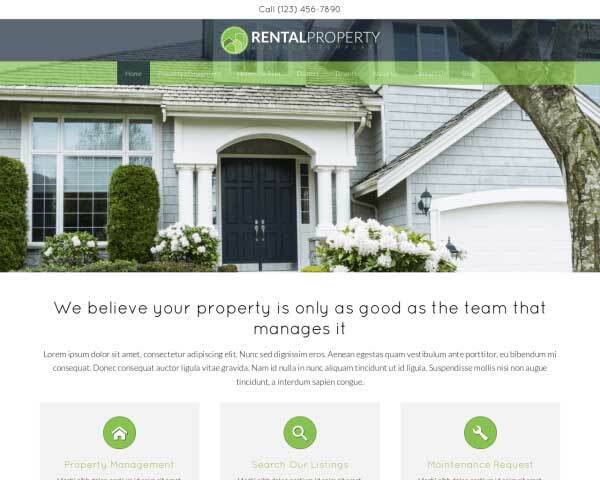 Show customers how to reach you on the Loan Company WordPress Theme's contact page, designed with helpful features like a customizable contact form and integrated Google map. Obtaining a mortgage is a life-changing event for many. The blog section enables you to showcase your authority by providing your audience every bit of information they need. 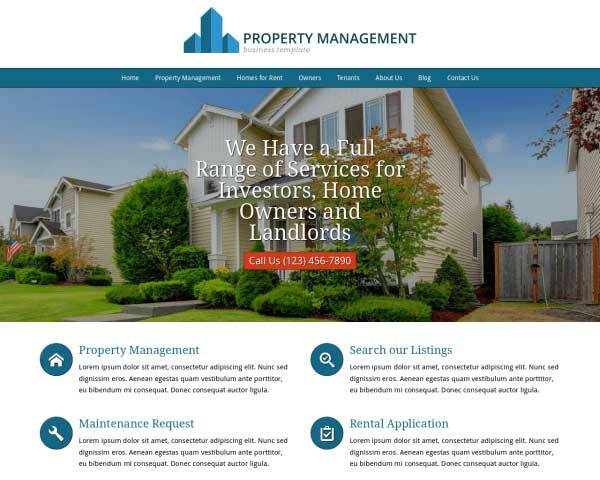 This responsive Loan Company WordPress Theme is built to look great on all handheld devices, even as you add new content and as new smartphones and tablets enter the market. That's because our mobile-optimized design will automatically adjust the layout of your images and text to display neatly on any screen size, without any extra coding or plugins required. Mobile visitors will enjoy the same professional design and functionality of the desktop version, together with the ability to simply tap your phone number to dial or tap your email to open a new draft.